This handpainted bee needlepoint is in a traditional sampler style. The design is by Ewe and Eye and Friends. The design area measures 5.5" x 5.5". 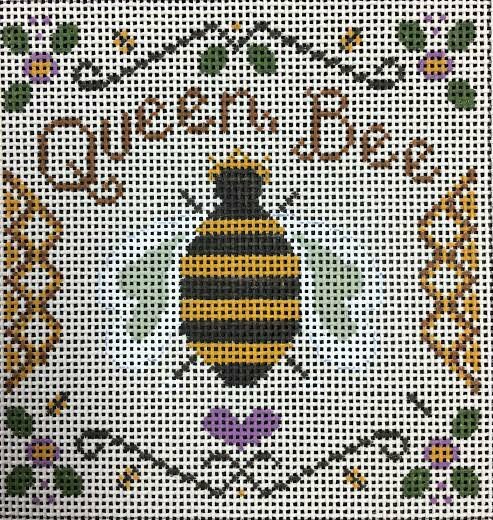 This elegant bee needlepoint comes with or without fibers. If you select cotton we will send DMC perle cotton. For wool and silk we will send Planet Earth fibers. If you need stretcher bars we recommend two pair of 9".